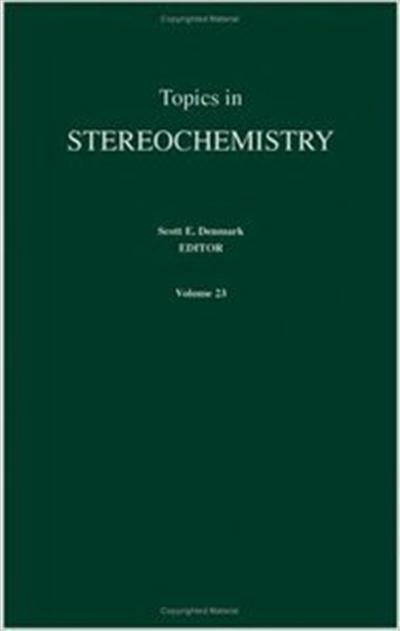 The chapters in this second Volume of the second era of Topics in Stereochemistry reflect the breadth of subdisciplines for which stereochemistry is of fundamental importance. I am particularly pleased that these chapters continue the precedent set by those in Volume 22 for their scholarship, timeliness and scope. The discovery and development of fullerenes created unprecedented opportunities in both fundamental and applied chemistry. Although the intrinsic chirality of the higher fullerene spheroids was recognized early on, the consequences of modification with chiral groups as well as substitution to create chiral structures have only been fully realized in recent years. The first chapter by Carlo Thilgen, Isabelle Gosse and Fran¸cois Diederich provides an insightful and thorough analysis of the origins of fullerene chirality complete with a systematic classification of structural types. Each family of chiral fullerenes is amply illustrated and discussed not only for the structural novelty but also potential applications. Now liberated from the confines of tetrahedral carbon, the fullerene molecules provide fascinating new scaffolds for chiral structures. This chapter exemplifies how the importance and consequences of chirality pervade all molecular science even as new universes of compounds are discovered.